the tooth fairy’s visit | eat. play. sleep. Last week, Ava lost her first tooth! 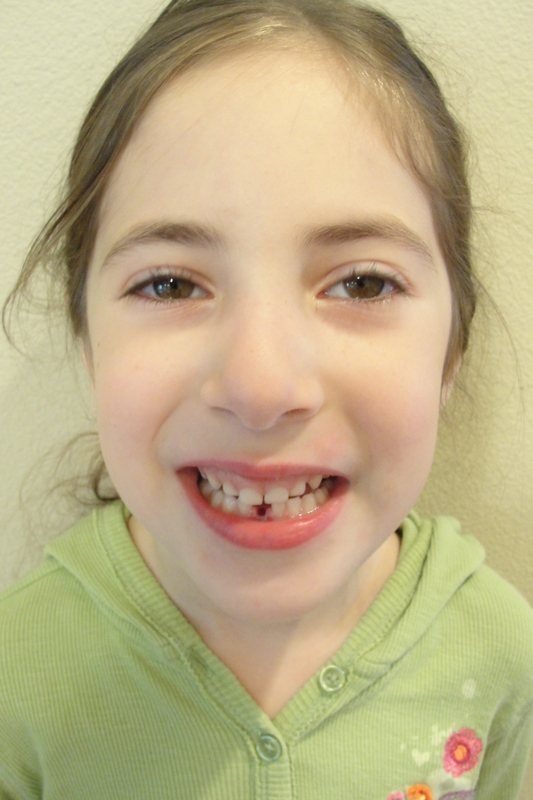 It had been loose for quite a while, and Ava was so excited for the tooth fairy to come visit. 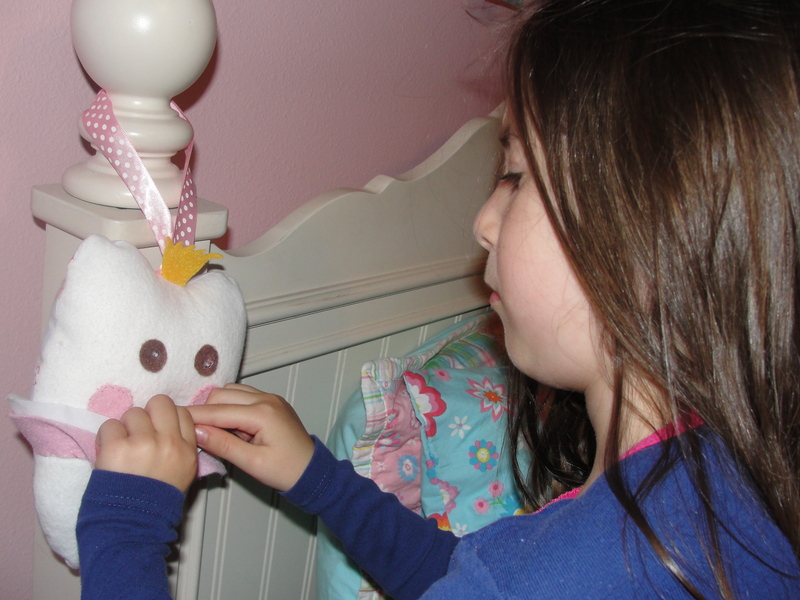 I made Ava a little tooth pillow using this pattern. It came together in less than an hour! I used an old sheet as the back and for part of the tutu, and felt from my scrap bag. 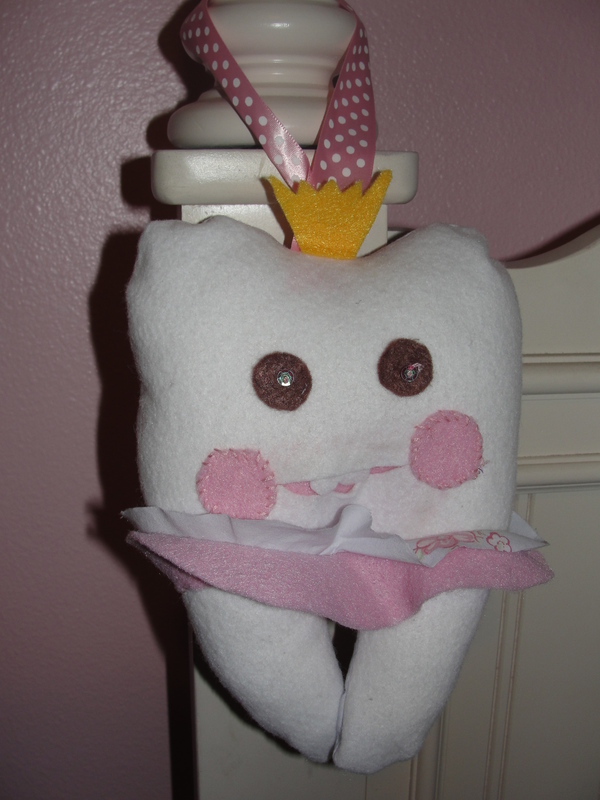 I love the little mouth pocket for the tooth. Ava’s tooth fairy left her a whole dollar for her first tooth…she’s very excited to take it to the dollar store and spend it! Ava’s already got another loose tooth…here’s hoping that the tooth fairy stocks up on quarters and floss on her next trip to the store!